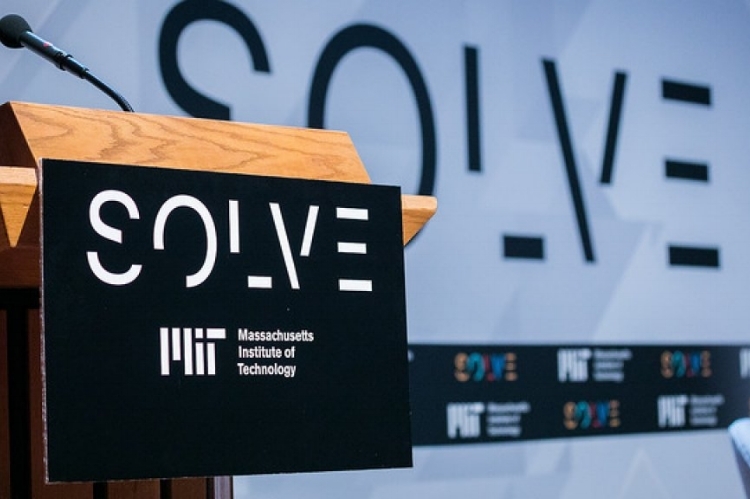 Last week, Flamingo attended the flagship three-day event of Solve MIT - an ambitious initiative connecting leaders in tech, business, philanthropy and civil society with entrepreneurs from all over the world to crowdsolve global problems, such as climate change and the refugee crisis. L. Rafael Reif (MIT president) said in his opening speech at the event that "countries who typically solve these problems are now facing huge challenges themselves". Solve instead believes that "everyone should have a seat at the problem solving table". Out of nearly 400 applications, Solve had chosen 29 winning solutions for tackling carbon contributions, chronic disease, inclusive innovation, and refugee education. 1) Does technology still create more than it destroys? The consensus to this rich opening debate was that we should focus on our ability as mankind to determine the answer. We have a responsibility to ensure that in the future, technology creates opportunities and jobs (and doesn’t ultimately work against us, iRobot style). However, a critical question remained as to whether humans have the ability to forecast the consequences of our innovations, and whether the pondering of future outcomes might impede technical progress. Amongst the varied line up of tech geniuses, it was an inspired idea to include the world no.1 cellist Yo Yo Ma. Who spoke of the unique beauty of human skills that machines cannot compete with: mostly creativity, leadership, negotiation, problem solving, and emotional intelligence. Unlike some of the other panellists, Yo Yo took an optimistic view of the future: "When something gets invented it goes through some bumps, we question: 'Is it bad? Is it good? How do we know what to do with this new thing?' It is about our response to change. We don’t need to worry about tech, we need to worry about us. How well do we really know ourselves?" This conversation was deeply intertwined with the topic of giving the global youth relevant skills to thrive in the 21st century. "If you had one minute to leave your house forever, what would you take? Did any of you think to take your high-school diploma? That’s the challenge facing thousands of college aged refugees, who face up to five years delay getting into higher education because of lack of documentation." Her innovative platform, Kiron, is an e-learning global platform for higher education. Kiron uses open-source educational materials from world-class universities like MIT, Stanford and Harvard to help refugees learn on the go, with an immediate start – the credits earned translate to real credits with 40 partner universities, who then allow students to join an in class degree programme at the appropriate level – no time or momentum is lost, and students can learn from anywhere in the world, in several languages. Olajumoke Adenowo moderated a lively panel on Urban planning for sustainable cities – she spoke with passion on the need for Africa to innovate quickly. "If Africa follows the west, we’ll all be in trouble. Africa needs to leapfrog the west, embracing tech of the future, but being bold in taking risks for ourselves, not relying on others to come and do it for us." She set the tone by asking how architecture can be designed with social impact not as an add on, but at the heart. Buildings and city design "should reflect the spirit of the age, and our age is facing huge challenges we cannot ignore"
The use of mobile enabling non-literate farmers in sub-saharan Africa to get accurate weather reports – increasing their incomes by 40-80%. When asked if we’re prepared for the future, Yo Yo Ma replied: "When have we ever in history been prepared for the future?" But this event demonstrated just how well prepared we can be through smarter and more diverse collaboration exercises. Solve is a space where business and brands could be more involved– as cultural makers brands know their audiences and can apply solutions effectively at scale with efficient distribution – the benefits are reciprocal. There was a resounding chorus that in the near future, entrepreneurs and business will play a more prominent role than governments, taking the initiative to be bold, without delay. As Tracey Palandjian of Social Finance ltd said: "People can make money and solve problems, this ‘double bottom line’ shakes the current worldview and makes some people uncomfortable, but it works." While there were several significant outcomes of the event – Solvers finding mentors, advisors and some even invited to pilot their ideas by a royal family in the Middle-East - the end of the event was really just the beginning of new pathways to even bigger things. There are details here for those interested in submitting an [even partial] solution. If Solve has proved anything it’s that good ideas can come from anywhere, in any number of shapes and sizes.